While nonqualified deferred compensation plans (“Nonqualified Plans”) are generally exempt from most of the substantive provisions of the Employee Retirement Income Security Act of 1974 (“ERISA”), Nonqualified Plans are still subject to ERISA’s enforcement provisions, including claims regulations implementing section 503 of ERISA. 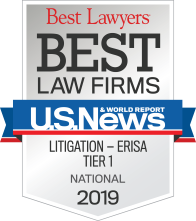 For that reason, a Nonqualified Plan must contain claims procedures that comply with the ERISA claims regulations for resolving participant claims under Nonqualified Plans. Many Nonqualified Plans provide that a benefit will be paid upon a participant becoming disabled. A determination about whether a Nonqualified Plan participant has a disability may be made by the company, the Social Security Administration (“SSA”) or the company’s long-term disability insurance carrier. If the determination is made by SSA or the company’s long-term disability insurance carrier, then the Nonqualified Plan is not required to contain disability claims procedures that are separate from the procedures that apply to claims that are not dependent on a finding of disability. 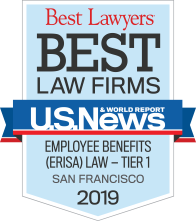 On the other hand, if a company determines whether a participant has incurred a disability under the company’s Nonqualified Plan, then the Nonqualified Plan must contain specific claims procedures for disability determinations made by the company. Impartiality. Claims and appeals must be adjudicated in a manner designed to ensure the independence and impartiality of the persons involved in making the benefit determination. In particular, those decision-makers cannot be hired, promoted, fired, or given a raise based on any expectation that they will support the denial of benefits. Complete Disclosure. Benefit denial notices must contain a complete discussion of why the plan denied the claim and the standards applied in reaching the decision, including the basis for disagreeing with the views of health care professionals, vocational professionals, or with disability benefit determinations by the Social Security Administration. Pre-existing regulations merely require a statement of the right to bring a civil action and disclosure of any contractual limitations period. Timely notice of right to access. Claimants must be given timely notice of their right to access their entire claim file and other relevant documents, and be guaranteed the right to present evidence and testimony in support of their claim during the review process. Opportunity to respond. Claimants must be given notice and a fair opportunity to respond before denials at the appeals stage can be based on new or additional evidence or rationales. Exhaustion of administrative remedies. Plans cannot prohibit a claimant from seeking court review of a claim denial based on a failure to exhaust administrative remedies if the plan failed to comply with the claims procedure requirements, unless the violation was the result of a minor error. Rescissions of coverage treated as adverse benefit determinations. Certain rescissions of coverage are to be treated as adverse benefit determinations triggering the plan’s appeals procedures. Culturally appropriate language. Notices and disclosures issued under the claims procedure regulation must be written in a culturally and linguistically appropriate manner. Under certain circumstances, notices and disclosures must prominently display instructions for accessing these documents in a language other than English, and may be required to provide telephone customer service in that language. The claims procedures in a Nonqualified Plan should be updated on or before January 1, 2018, if the Nonqualified Plan requires a determination regarding a disability claim. The updated claims procedures should also be distributed to the plan participants. If you have any questions, please contact the author of this article. 1 Although the disability benefit claims regulations are expected to apply to claims filed on or after January 1, 2018, the Department of Labor is currently reviewing the regulations for questions of law and policy. As such, the regulations may be subsequently amended.